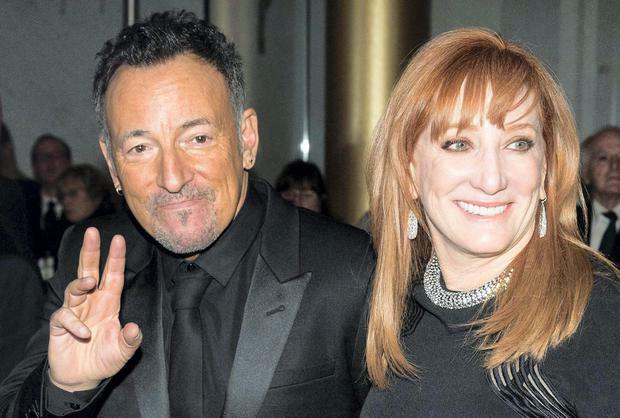 Bruce Springsteen's wife Patti Scialfa is one of the major reasons he is able to pull himself "back into his life" amid bouts of depression, the rock star has said. Speaking to Kirsty Young on BBC Radio 4's Desert Island Discs, Springsteen revealed how fellow musician Scialfa's unique understanding of him led to a "very beautiful relationship". The American singer-songwriter also opened up about the strained relationship he had with his father during his "chaotic" childhood and into adulthood, and how this shaped his career. Springsteen (67) started working with Scialfa in 1984 when she joined his E Street Band and they began a relationship in the late 1980s before marrying in 1991 and having three children together. "Patti is a great songwriter and has a very distinctive and original voice. 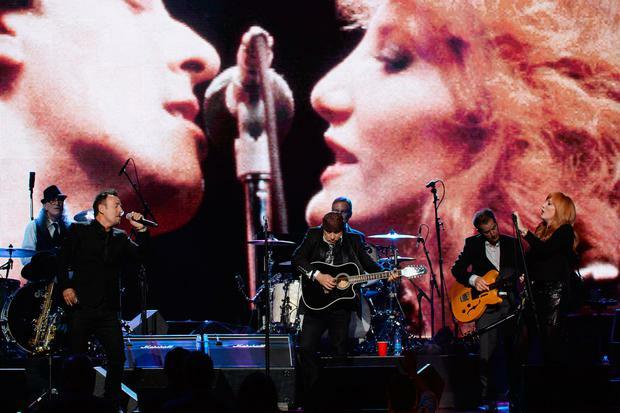 Patti joined the band literally days before we went out on tour in 1984 and it was years later, I guess three or four years later, we got together as a couple," he said. "It was very interesting. I hadn't been involved with another musician before. She had a lot of understanding of where I was coming from and the twisted parts of my personality she knew how to handle and live with better than some of my other relationships. "It was a lovely beginning to what's been a very beautiful relationship." Of his depression, detailed by Springsteen in his recently published memoir Born To Run, he said it stems from coming from a family of mental illness sufferers. Asked by Young how he comes back from moments he previously described as being "close to the abyss", Springsteen said: "Patti's very helpful, and sometimes just time or medication, you need the right drugs. "These are all things that can pull you back into your life and certainly in my case how blessed my life has been." Young asked Springsteen about his relationship with his father Douglas. They had a tense relationship and he has written that his father, who died in 1998, "loved me but he couldn't stand me". "My dad had a gruff exterior but inside he could be quite soft and sensitive," Springsteen said. "The qualities he had inside are things I wore on the outside. And they were just difficult for him to deal with. "We sorted through some of it as we got older but it was sad when I was young."